Reef Conference Room seats up to 160 delegates. 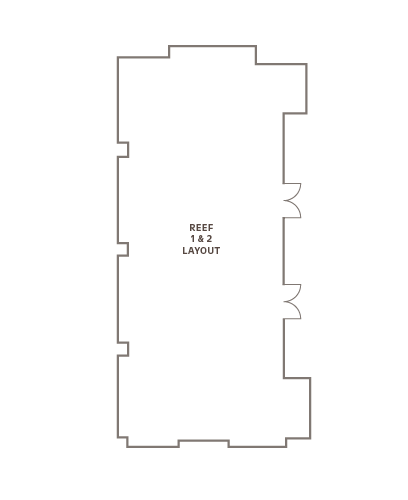 Reef Conference Room adjoins a covered verandah and outdoor terrace. AAA 5-star resort infused with traditional Fijian hospitality. Outrigger Fiji Beach Resort is a AAA five-star deluxe resort on the Coral Coast of Viti Levu, Fiji's largest island. Reminiscent of a traditional Fijian village, the resort's 40 acres are beautifully landscaped with lush, fragrant tropical gardens and infused with warm Fijian hospitality. Outrigger Fiji Beach Resorts offers a stimulating destination for the small meeting and incentive market.